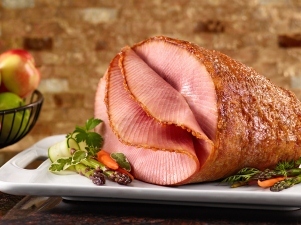 HoneyBaked Ham Franchise for sale in the Greater Indianapolis, Indiana region for $376,000. Pre-approved for SBA financing with an estimated $42,000 down! Established franchise opportunity, currently grossing an estimated $608,106 and nets $171,418. Income based on an owner/operator role. Great location in busy plaza near a medical center and hotel. Restaurant is fully built out and includes all equipment. 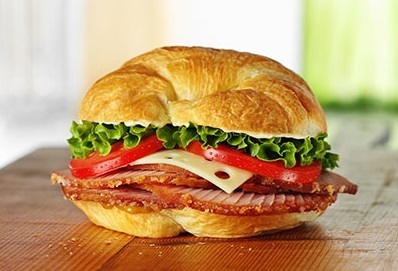 HoneyBaked Ham restaurants sell hams, turkey breasts and other pre-cooked entrées and side dishes plus they offer a lunch time and catering menu of sandwiches, salads and soups. This is a unique opportunity with huge growth opportunity. The ground work has already been done. New owner will need to be approved by the landlord and franchisor. The current gross revenue being generated is estimated at $608,106. Yes, this business has been pre-approved for financing of up to $334,000 (amount needed down is variable depending on buyer’s liquidity and credit score). Buyer must also meet the minimum SBA requirements for lending to include: a minimum credit score of 680 and relevant experience in the restaurant industry, or some type of previous management experience from another industry. View SBA loans or more Financing Options Here. Expenses will vary for each restaurant owner depending on the type of restaurant, number of employees, and location. Current expenses for this owner include: royalties, payroll, payroll taxes, workers compensation, advertising, repairs and maintenance, laundry and cleaning, office expenses, supplies, food, utilities, property rental fees, permits and licenses, phone, and liability insurance. Expenses are estimated to be $436,688 per year (Note: Expenses represent a cash purchase and do not account for finance payments if requiring a loan to purchase). Located in the Greater Indianapolis, Indiana region. Physical address will be released to qualified buyers upon execution of an NDA. Current list of equipment includes: walk in cooler, walk in freezer, refrigerated sandwich prep table, hood, stainless tables, food processor, microwave, oven, sandwich toaster oven, soup warmer, sinks, kitchen utensils, shelving, restaurant furniture, utility carts, hand truck, office equipment etc. Estimated value is $38,000. This restaurant is 1,600 square feet and can seat 14 inside. There is no drive-thru or delivery service currently offered. Seller has owned this restaurant for 24 1/2 years. The restaurant is operated from 10am to 6pm Monday – Saturday. Established franchise opportunity. Turnkey and move in ready. Includes the cost of all equipment. Plenty of opportunity to increase revenue. HoneyBaked ham has a great reputation and brand recognition. Restaurants are seasonal with the busiest times around the main holidays although sales are generated year round. Priced at $376,000. For additional information and to evaluate this business further Contact Us About This Restaurant Here!